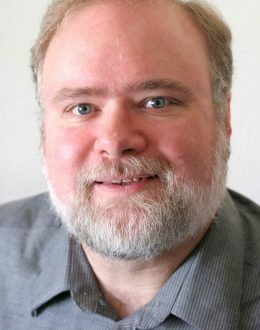 Brad Templeton is a developer of and commentator on self-driving cars, software architect, board member of the Electronic Frontier Foundation, internet entrepreneur, futurist lecturer, writer and observer of cyberspace issues, hobby photographer, and an artist. Templeton has been a consultant on Google’s team designing a driverless car and lectures and blogs about the emerging technology of automated transportation. He is also noted as a speaker and writer covering copyright law and political and social issues related to computing and networks. He is a director of the futurist Foresight Nanotech Institute, a think tank and public interest organization focused on transformative future technologies. Templeton has been involved in the development of important pieces of software including VisiCalc, the world’s first computer spreadsheet, and Stuffit for archiving and compressing computer files. In 1996, ClariNet joined the ACLU and others in opposing the Communications Decency Act, part of the Telecom bill passed during Clinton Administration. The U.S. Supreme Court sided with the plaintiffs and ruled that the Act violated the First Amendment in seeking to impose anti-indecency standards on the internet. Professional Activities: – Founder of ClariNet, the world’s first internet-based business (first dot-com) – Director and chairman for 10 years of the Electronic Frontier Foundation (EFF), an organization created to “confront cutting-edge issues defending free speech, privacy, innovation, and consumer rights today.” – Developer of many packaged software products in the microcomputer era. – Published first large e-book anthology of current fiction. – Leader of internet/USENET community, creating rec.humor.funny which was the most widely read publication on the internet from 1988 to 1995.